Came the same day the first time. Came the day after the second time, stayed until done when it was really needed (so I could get a shower working again). Cost was reasonable and affordable, worth every dollar! Explains well. Michael is professional and knows his stuff. Quickly diagnosed problem with dishwasher and concluded too expensive to repair. He will be installing our new dishwasher. I would highly recommend Micheal for all of your appliance repair needs!! !He is very friendly,responds promptly,does a great job and is very reasonable in price!! !We will definately call him again!! They contacted me within an hour of putting in the request which impressed me. They did a great job and came out fast to get it done. I was contacted by another company also, but they changed their price when the the time came which really upset me. #1 Appliance Pros gave me the price it was going to be from the start and did above and beyond, showing me how I can care for the machines to extend their life. I will hire them again! Michael was very thorough and went that extra mile to make sure our experience was worth every bit of what he charged us! I would recommend him to anyone that could use his services!!! Great service, great experience. Michael arrived on time, sussed the problem with my electric oven/microwave range immediately and fixed the problem in no time at,all. I would gladly recommend him to anyone who has a problem with a kitchen appliance. 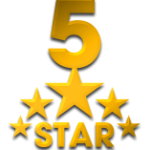 Michael was extremely responsive and knew exactly what he was doing and made the repair in really good time. He was very informative about his opinion on our refrigerator and what is worth fixing and what is not. I would recommend his service to anyone who asked me. Mike is awesome! He called me within 30 minutes of my service request and came out and installed my new garbage disposal. He is very professional with amazing customer service skills. His service fee is very affordable. I HIGHLY RECOMMEND MIKE!!! Michael is excellent! Very timely, does the assessment and repair quickly and accurately with high attention to details....Would use him again in a heartbeat!!! He responded immediately after I submitted to Angies List, came the same day and removed my old wall oven and replaced with the new one the next day, also required carpentry and support work. Looks great! Thank you!